Lets start with a video taken at famous south Mumbai street known as famous market of Kalbadevi. 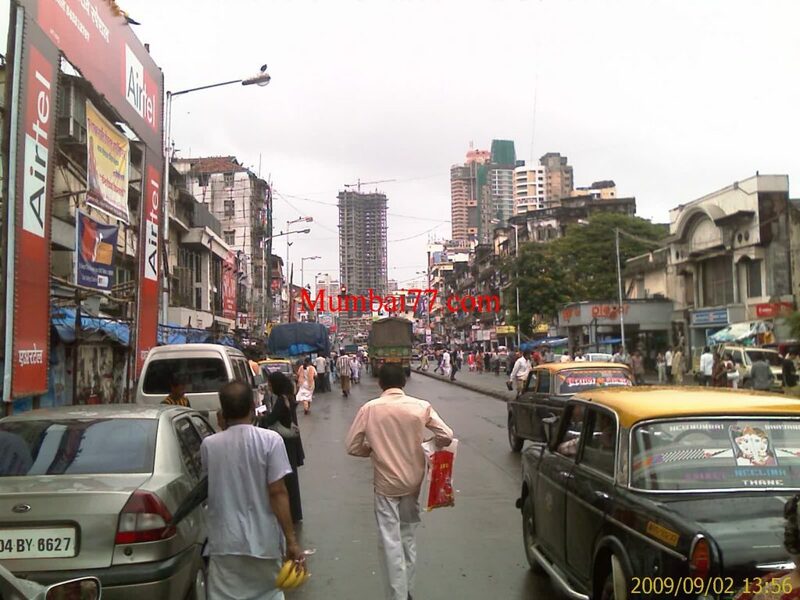 In 1995, Bombay was renamed to Mumbai and so the old street names to new. Since last few decades many things changed, But not much when it comes to how street seriousness been taken care by our Municipal corporation and few of the careless mindset civilians. We Mumbai people are still proud of the city spirit, But are actually used to not using Zebra crossing, Cars not stopping beyond zebra straps and allowing us, Street roads are uneven at many locations, Potholes are headlines every monsoon, Street flooding actually gives report of where work needs focus, The leftover footpath after paddlers and hawkers is what are we used too walking. During October and November of 2017, Mumbai streets have seen a major change in station area of 100 to 150 Metres. MNS (Maharashtra Navnirman Sena), a political party took the system in their hands and with request and force of ‘vandalism’ removed major Hawkers operating with in 150 Metres area of Major / Most railway stations. Some of the railway stations like Dadar, Thane, Kurla, Malad, Borivali, Vasai seems to have a total facelift with no hawkers. The Hawker menace was on bottle neck and not even a square feet area near stations was left behind by them. The violent action could have been reduced if strict rules would have been implemented initially. Railway authorities have been informed of taking care of their respective locations and keep it clean and hawker free. Talking more about these paddlers and street hawkers, It a a big business overall. Branded and local made products, fruits and vegetables, street foods and all that a person needed in day to day life was easy available at cheaper rates right outside railway stations and many other locations in Mumbai city. 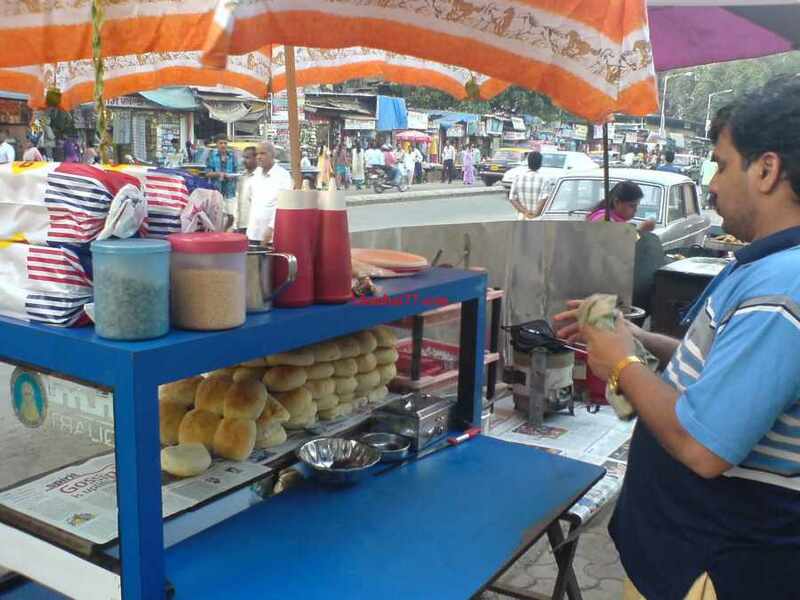 They operate literally at all public locations with higher crowd like street side stalls, road side vendors on footpaths, pedestrians walks, selling on traffic signals, dedicated hawkers markets, Railway stations subway walks, Inside local trains and also reach Knocking Individual doors of a not properly guarded housing societies. I am sure, i missed few many ways of doing such business. What Hawkers Sell : As said all and everything a legitimate shop sells after paying taxes, rents etc with an exception of few restricted license products like few we get at Chemists / Medical Stores. In General, these street stalls and temporary vendors sells fruits and vegetables, Mini / Packed lunch dinner and breakfast, day to day required crockeries, basic plastic products, Clothings for adults and kids, Fast food (Famous Street foods), Seasonal stuff, Shoes, Inner wears, Antiques, Belts, Music CD’s, Flowers and Garlands, Mobiles & Watches, Books, Tea Coffee and you say it and is available with them. Not just these, Services like Key makers, Umbrella Repairs, Cobblers etc too. We have licensed vendors at famous streets of Mumbai, For example see Fashion Street Shopping in south Mumbai and Linking Road at Bandra, A Famous suburb of city. No, i am not talking about walking on dedicated footpaths, As that things actually do not exist, although seen at various & major locations of Mumbai. I am talking about walking on Mumbai streets, in between road, on the after hawkers & some shop used and leftover footpaths if seen at some locations. Everyone is in hurry, We have to walk with speed and pace of other people around us. The walk is never straight, Sometime on streets between traffic, sometimes aside of road and if lucky enough on safe footpaths, But wait not that safe as manholes and uneven walkways can be anywhere to welcome an accident. Welcome to Mumbai, Walking on streets of Mumbai is somewhat like playing a Maze game, Try yourself in locations like Bhuleshwer, Dadar West and many suburban specially near markets. 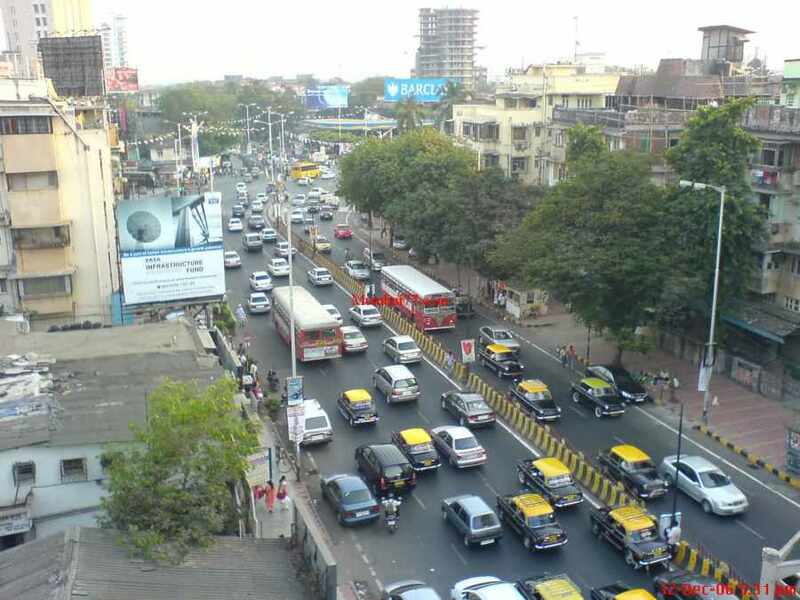 We are Mumbaikars, We are in hurry to reach our offices and homes with multiple responsibilities. We can’t wait or get slow while walking, Be it inside crowded market, streets, lanes or footpaths. If someone played or know some games like temple run, It like the same we walk straight on streets, then suddenly need to cross roads (Of course not from Zebra crossing), get some way out in hawkers left footpath and start again aside road with adjusting traffic and vehicles at not more than a feet away. And hey, Mumbai streets are famous for ‘SHOW HAND TO STOP VEHICLE’ to cross the roads. This things sure excite few foreigners as they have never seen such a messy situation, But ask a job working middle class man who struggle and be through such non sense every day and he will explain. Although Mumbai traffic police has no tolerance policy implemented for rash and drink driving etc and thousands of CCTV are now in place monitored by team of hundreds. E-Challans have made their way and sure their is some road fear between those rash drivers and civilians too. Still, Traffic masters Mumbai streets and every other famous busy roads. I doubt if someone has used Gear 4th, 5th within city boundaries except National Highways. Driving between high traffic and pollution is a normal thing everyday in Mumbai. Major traffic signals and streets have dedicated traffic police and rules are maintained. At some junctions, other streets many do not follow traffic rules. Driving without helmets, loosing bike controls and even running over traffic cops, Mumbai street driving stories have many such cases already in fast few years. Applying brakes on right time is what is the must learn on Mumbai streets, Because no body known when a biker will cross you carelessly, Auto rickshaws never follow the lane changing rules, people cross road merely by showing hands to vehicles (to be low OR stop). It required a special skill to drive on Mumbai streets and major roads like National highways and that skill has to be learned by self. Like not all fingers are same, Not all civilians too. Some have good patience and some lacks totally. Monsoon has a whole new story for Mumbai streets, Not just city roads, Major national highways like NH8 and eastern express highways too have pot holes deep enough claiming life every year. Mumbai suburban street roads like S V Road, Link Road, few Flyovers are well in news for all 4 months of Monsoon. City always observes High fuel and gas rates, Yet increase in number of vehicles is on high. We pay high taxes on every products and services and cannot miss out on the tolls at 5 major junctions now in city, But we are always on a congested streets of Mumbai. Not enough parking facilities as the city has already lost its balance and ratio of new vehicles vs parking. We do have CCTV cameras at major streets and junctions which really helps catch hold of menace, rule breakers, street chain snatchers, Accidents etc. But Mumbai has still lacked the total automation and high technology help which is already implemented at various other countries with this or much more traffic problems. We are very slow to upgrade with technology, why low fines, why outdated rules and manual systems, Why our traffic police have to work so hard tackling road offences, collecting penalties etc. ? and why we citizens do contribute to the CHALTA HAI attitude. WHY ? India is a rich country when it comes to varieties of cultures, traditions, religions and festivals. They are fun, they keep Mumbai blessed, busy and entertaining. But if you agree with me, Time has change we need to think again when it comes to rituals and festivals which has dependencies of Mumbai streets. Not to list any particular festival or an event as Mumbai has seen the face of terror and how they misuse and take benefits of such crowd. 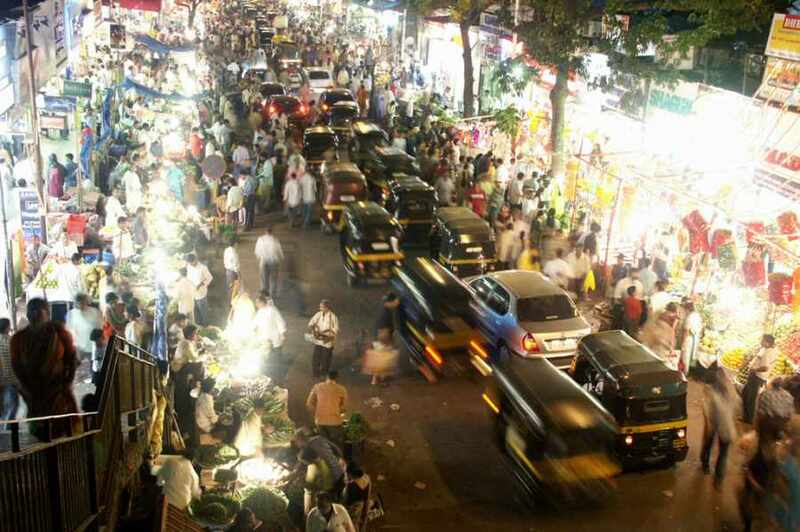 Our streets get busy during festive seasons, there is traffic jams, special road blocks and diversions to be planned by Municipal Corporation and Mumbai Police, Thousands of police stays on duty on the narrow streets and roads at many locations in city. They don’t celebrate festive like we do in reality. We need to re-think and have some standardization and rules to get ahead of all this problems and have a healthy balance of culture and festive activities. Talking about Mumbai streets, How can i just ignore or not mention the very famous Khau Gullis / Gallis and street side junk food and the fun of eating like a real Mumbaikar. Seating in an Air Conditioned restaurant is one thing and eating at street side food stalls is something very different and is one of the speciality of Mumbai. These Khau Gulli’s are near almost every other railway stations and other famous market locations like Bhuleshwar and Kalbadevi and other parts of city and suburban areas. Fast, cheap and tasty food in variety is what Mumbai people loves always. Last 4 to 5 years, whenever i went out for some work or casual day hangout and shopping, i kept collecting videos of beautiful streets culture of Mumbai. Again, Instead of writing thousands of words, these videos will help you understand what walking, driving or Shopping hangouts on these streets is all about.